Pleasant Stay ... We had a pleasant stay at the Al Sharq Hotel. It is located in Sharjah, 30 minutes North of Dubai (by car). We liked the location because it is close to the historic heritage area. The Rolla gardens right next to the hotel are not very spectacular, though. AL BASHA Our hotel restaurant is Open for breakfast, lunch and dinner daily. Vegetarians menu is available. TEA GARDEN LOUNGE OFFERS A GRAND SELECTION OF TEA , COFFE AND DESERTS IN THE HOTEL. BURGER KING , HARDEES , MACDONALDS , PIZZA HUT , KENTUCKY FRIED CHICKEN , CHILLIS ARE NEAR TO THE HOTEL. 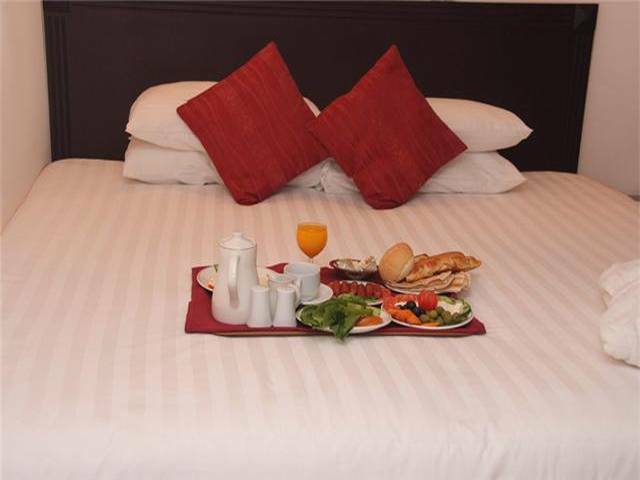 THERE ARE SO MANY INDIANS , PAKISTANI, IRANIAN, CHINESE LEBANESE , ARBIC RESTAURANT ARE ALSO AVAILABEL NEAR TO THE HOTEL. 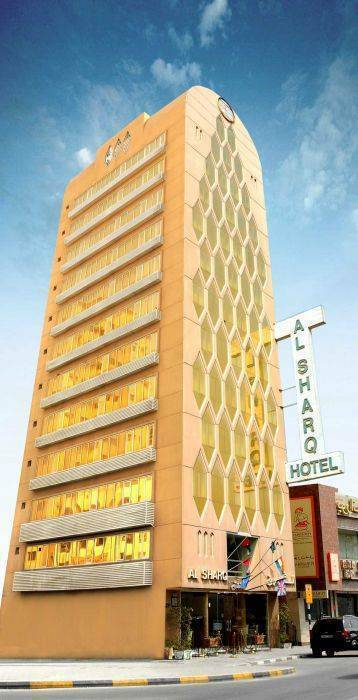 Al Sharq Hotel is Award Winner As Best 2 stars Hotel 2008 , Hotel ideally located on famous Rolla square in Sharjah, just minutes away from the exclusive Iranian Bazaar , Gold centre and spice market are all within 5 minutes walking distance. 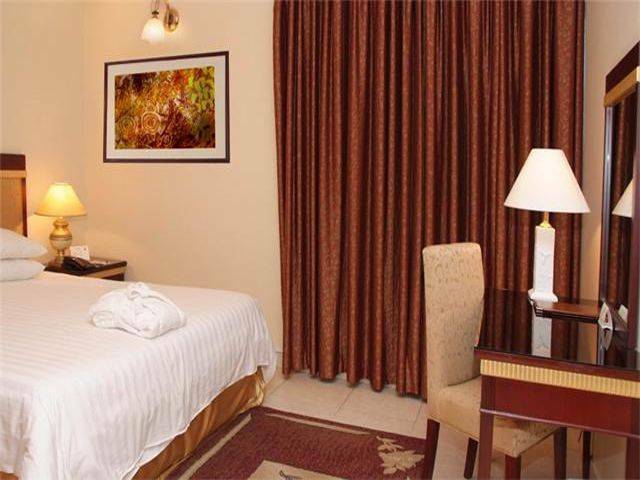 Great location just 2 minutes walking to Dubai bus station giving easy access to exhibition centres. 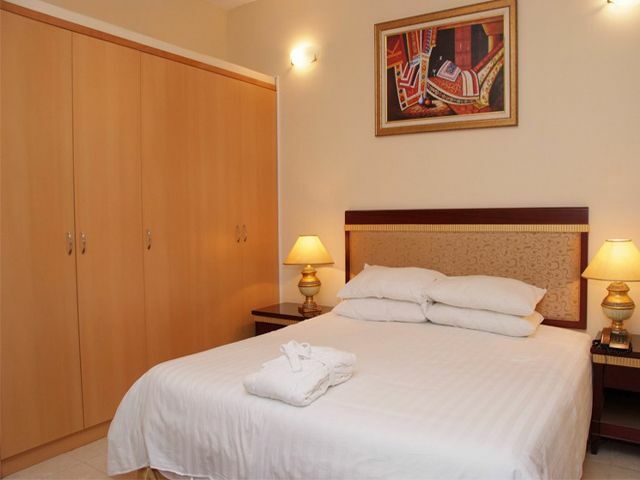 Steeped in history, the hotel is located in the middle of the heritage Area Surrounded with more than 7 different museum guests who demand maximum economy and maximum quality, This is the hotel. 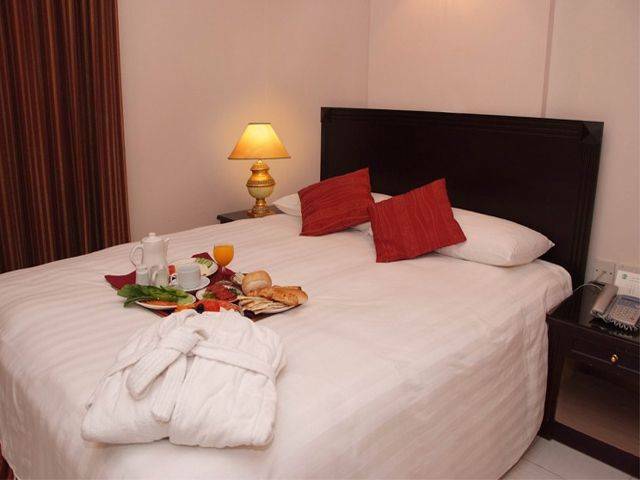 * Reservations must be cancelled at least 48 hrs prior to arrival date to avoid a penalty of 1 night stay . We are located in Rolla square Sharjah near UAE Exchange. Please call or email the hotel for Airport pick up service for just USD 39. 00 per car per trip ( Highly Recommended ). If such a service is required, this service will cost only USD 39. 00 per car/per trip ( highly Recommended ).